Huancavelica or Wankawilka in Quechua is a city in Peru. It is the capital of the Huancavelica region and according to the 2007 census had a population of 40,004 people (41,334 in the metropolitan area). 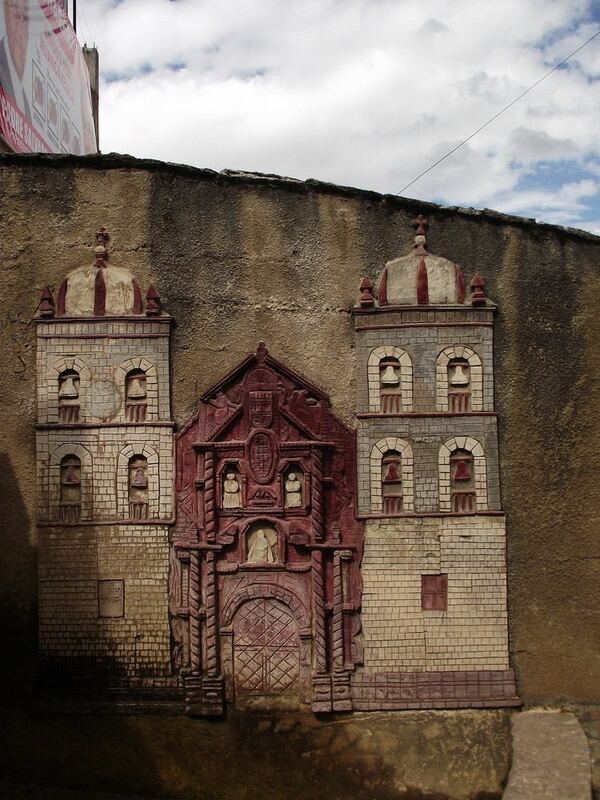 The city was established on August 5, 1572 by the Viceroy of Peru Francisco de Toledo. Indigenous peoples represent a major percentage of the population. It has an approximate altitude of 3,660 meters; the climate is cold and dry between the months of February and August with a rainy season between September and January. It is considered one of the poorest cities in Peru. The Huancavelica area features a rough geography with highly varied elevation, from 1,950 metres in the valleys to more than 5,000 metres on its snow-covered summits. These mountains contain metallic deposits. They consist of the western chain of the Andes, which includes the Chunta mountain range, formed by a series of hills, the most prominent of which are: Sitaq (5,328m), Wamanrasu (5,298m) and Altar (5,268m). Among the rivers of the region there are the Mantaro, the Pampas, the Huarpa and the Churcampa. 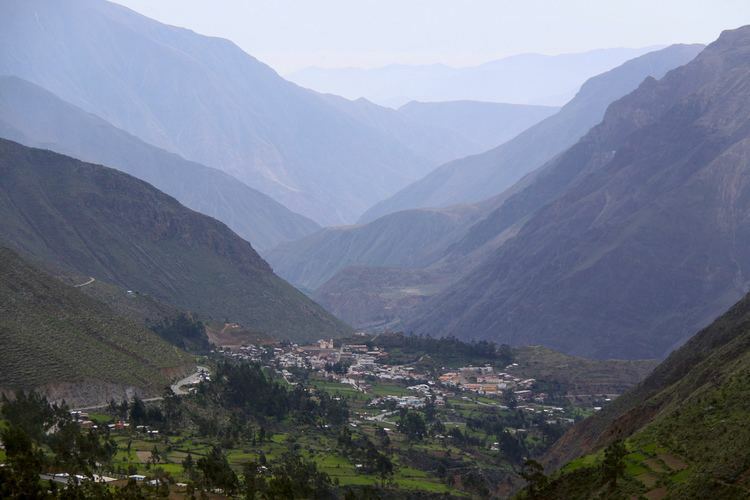 The Mantaro River penetrates Huancavelica, forming Tayacajas Peninsula. Another river that shapes the relief is the Pampas River which is born in the lakes of the high mountains of Huancavelica, Chuqlluqucha and Urququcha. In the pre-Incan era, Huancavelica was known as the Wankawillka region or "the place where the grandsons of the Wankas live". The city itself was established on August 5, 1572. 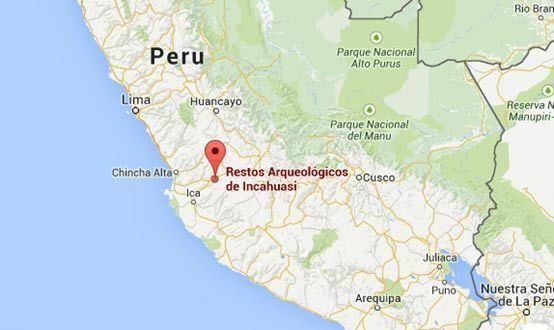 The mines of Huancavelica were discovered in 1563/1564 by the Indian Nahuincopa, servant of Jerónimo Luis de Cabrera. The area was the most prolific source of mercury in Spanish America, and as such was vital to the mining operations of the Spanish colonial era. Mercury was necessary to extract silver from the ores produced in the silver mines of Peru, as well as those of Potosí in Alto Perú ("Upper Perú," now Bolivia), using amalgamation processes such as the patio process or pan amalgamation. Mercury was so essential that mercury consumption was the basis upon which the tax on precious metals, known as the quinto real ("royal fifth"), was levied. The extraction of the quicksilver in the socavones (tunnels) was extremely difficult. Every day before the miners came down, a mass for the dead was celebrated. Due to the need of numerous hand-workers and the high rate of mortality, the Viceroy of Perù Francisco de Toledo resumed and improved the pre-Columbian mandatory service of the mita. The allotted concession were rectangular, about 67x33m. Miners were divided in carreteros and barreteros. Due to the discovery and then the extraction of the azogue (mercury) in a hill close to the actual location of the city, the Santa Barbara mine became famous in the new world and its activity led to the Viceroy of Peru, Francisco de Toledo, to establish the city in 1572 with the name of Villa Rica de Oropesa. In 1648 the Viceroy of Peru, declared that Potosí and Huancavelica were "the two pillars that support this kingdom and that of Spain." Moreover, the viceroy thought that Spain could, if necessary, dispense with the silver from Potosí, but it could not dispense with the mercury from Huancavelica. In the modern times, due to different political and economical events, the city went to a period of decades of lack of progress from the rest of the country. Now, this situation appears to change due to the attention of the recent government administrations.